Ed W. wrote, "So what's the rule to convert Celsius to Fahrenheit? 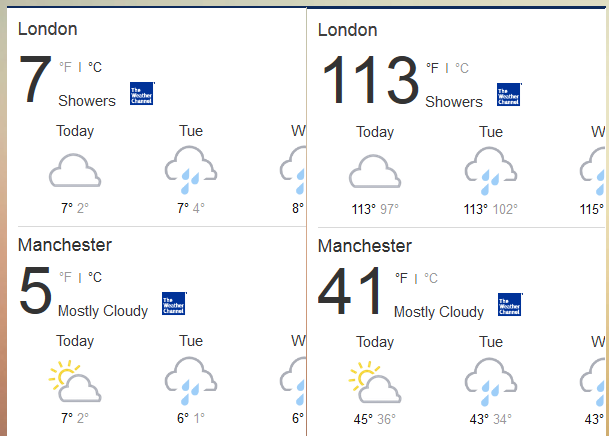 According to the weather on the my Yahoo page it's: Multiply by 7, divide by 5 and add 32 ... unless you're in London then add 100." 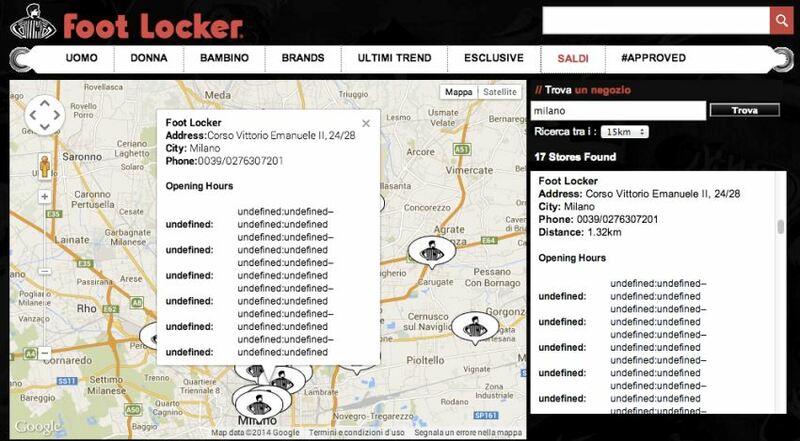 "In Milan, Italy, at Foot Locker it seems they aren't sure what their opening time is...wait, it seems that they aren't even sure what the days of the week are!" Carmine G. wrote. 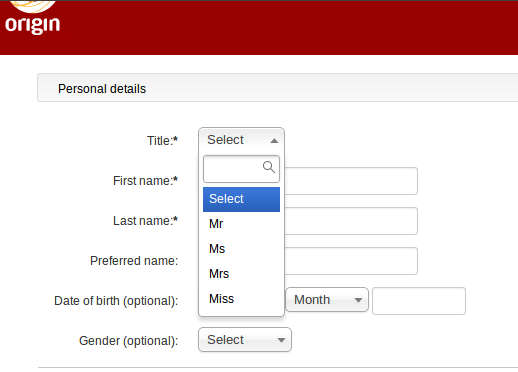 "So, the Gender field is 'optional', yet the Title field is marked as mandatory and all choices are gender-specific," Ben writes. "I'm really impressed with my Motorola Moto G. It's a really nice phone for the price. 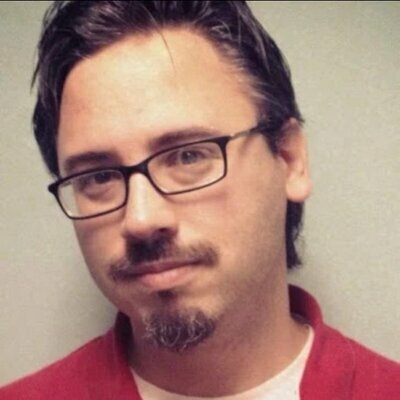 However, I was less impressed when I attempted to use Motorola's lost phone functionality," writes Tom. "Looks like news.google.com got a bit confused with it's article groupings," Bri wrote, "I had no idea that David Brenner was involved in Afghan politics!" 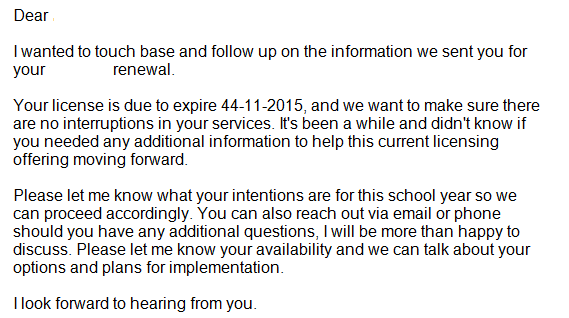 "Just received this email about a service subscription and it's a little confusing," Ari S. writes, "Now is it the 44th of November or the 11th of Fourtyforthember?" "What? An older version than I have now has been released? SIGN ME UP!" Shaun W. writes.